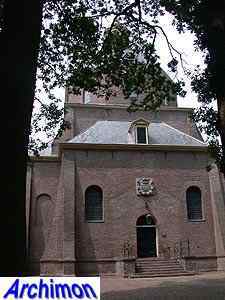 The village of Renswoude dates from the 17th century and was built near a castle. 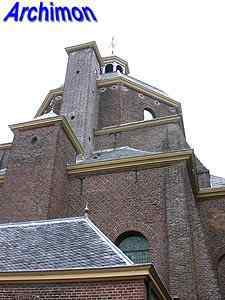 It was the lord of the castle, Johan van Reede, who commissioned the building of a chapel for the castle, the current church. 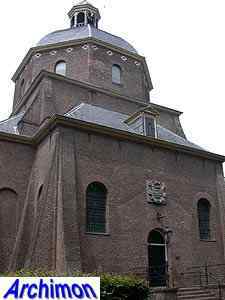 Until 1922 the building was the property of the lords of Renswoude, after which it was handed to the reformed community. 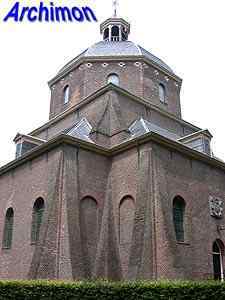 Although there's no real evidence for it, the design is usually attributed to Jacob van Campen, who was responsible for the very similar church in Hooge Zwaluwe built at the same time. 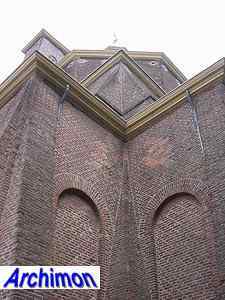 It's a centralizing church in sober Classical style. 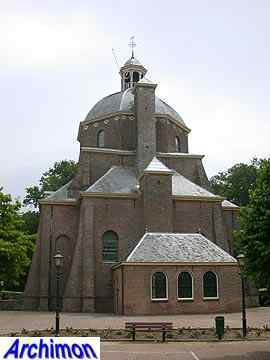 The ground plan is in the shape of a Greek cross with short arms, with an octagonal tower with dome covering the crossing. 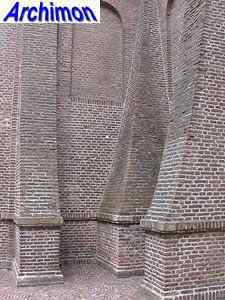 The buttresses at the corners become thicker at the bottom, a reference to the image people had in that time of the temple of Jerusalem. The building shows traces of several restorations. At the front it's clear to see the shape of a simple portal from the 17th century which was removed in 1935-1937. One can only wonder why it was removed, or why it was not rebuilt during a restoration in 1971.